One major barrier to understanding and treating lymphedema is the difficulty in actually seeing the lymphatic system itself. The majority of lymphatic vessels throughout the body are extremely small, typically a fraction of a millimeter in diameter. New imaging technology has allowed us to see the lymphatic system in greater detail than we were able to in the past. More importantly, this allows us to assess the type of lymphedema specific to each patient and determine the best approach for treating it. Current staging systems for lymphedema involve a physical exam alone. However, in other diseases such as cancer, a physician would not consider treating a patient based soley on clinical staging. Specialized imaging plays a crucial role in the evaluation of patients and provides information not available on physical exam. With newly available imaging technologies, Dr. Smith and others are revisiting the staging system for lymphedema in concert with their radiology colleagues in order to further understand the spectrum of problems that can occur in lymphedema. The size and appearance of a limb is only a "skin deep" assessment. Two patients with a similar degree of swelling in their limbs may have very different types of lymphedema and require different approaches to their treatment. Dr. Smith evaluates every patient using a standardized protocol and maintain a comprehensive database in order to correlate pretreatment staging with treatment outcomes. 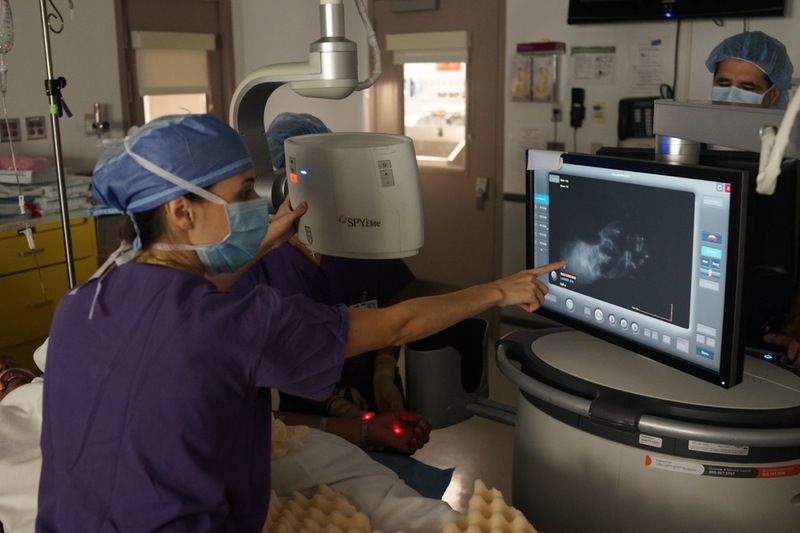 Indocyanine green lymphangiography using the SPY Elite system allows each patient to see their lymphatic system at work with real time video of the lymphatic vessels pumping (or often times not pumping) lymph out of the limb back into the circulation. Dr. Smith use this technology in the operating room to assess the degree of lymphedema and to guide surgery. The Friedman Center is also the first facility to have the SPY system available in the office setting. Patients can see their lymphatic function in real time and are welcome to invite their lymphedema therapist to join them to see the effect of manual lymphatic drainage on their lymphatic flow. Magnetic Resonance Lymphangiography (MRL) is a type of MRI that allows us to see the lymphatic system and determine the amount of fluid content in the limb. As lymphedema progresses, the lymph trapped in the limb may be replaced with fatty tissue and scar. A lymph node transfer will reduce the fluid component, but may not address the excess fat and scar in more advanced cases. Additional treatments may be required such as liposuction or excision following lymph node transfer in these cases. While lymphoscintigraphy is widely available and has been around for many years, Dr. Smith is using this technology to evaluate the outcome of vascularized lymph node transfer in lymphedema. Lymphoscintigraphy involves an injection of a low-level radioactive tracer called technetium between the toes or the fingers. This tracer can then be seen using specialized equipment to assess the degree of lymphedema and check for a complete obstruction as opposed to slowly-flowing lymphatics. All patients are evaluated prior to surgery and one year following surgery as part of a standardized protocol developed with the Department of Nuclear Medicine to see if the lymph nodes are working. The lymphoscintigram below demonstrates functioning lymph nodes after lymph node transfer to the left axilla. Lymphoscintigraphy before surgery in a patient with upper limb lymphedema following breast cancer treatment. Normal axillary nodes are seen in the upper right-hand corner but are absent in the upper left corner where the lymph nodes were removed under her arm. 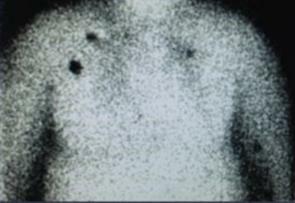 Lymphoscintigraphy one year following lymph node transfer to the axilla (under arm) where lymph nodes were previously removed. After injection of technetium into the hand, dye has found its way up to the transferred lymph nodes in the left axilla, confirming the lymph node transfer is functional.